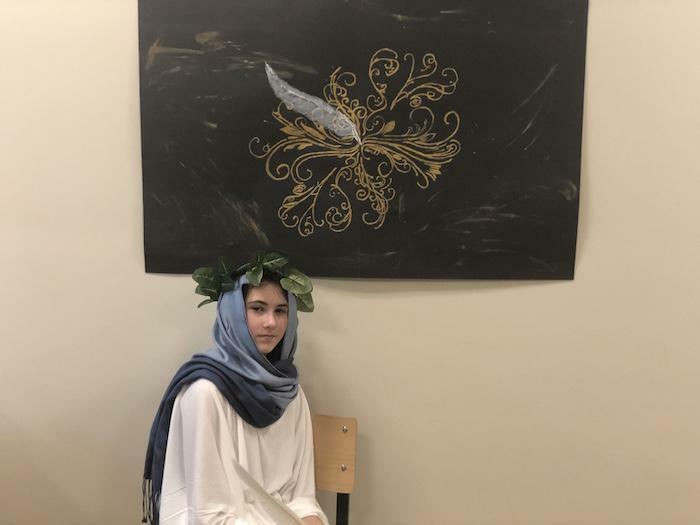 Each year, Quest students in both Lower and Upper Elementary study a different ancient civilization and present their learning at a thematic culminating event. 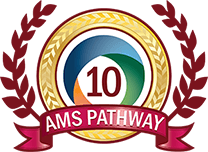 The history of humanity and the building of civilizations is carried forward into Middle School within the Humanities curriculum. 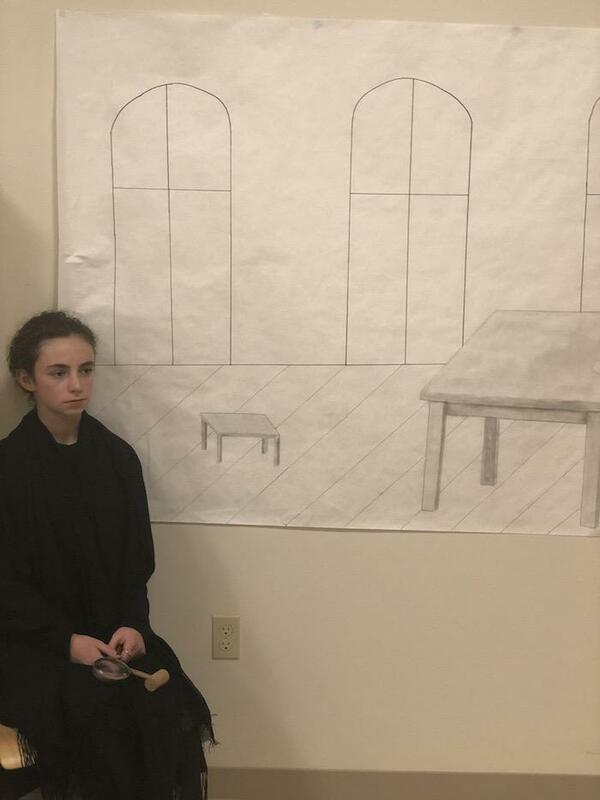 Particular attention is paid to times of transition, looking back to what came before and connecting to our own time. 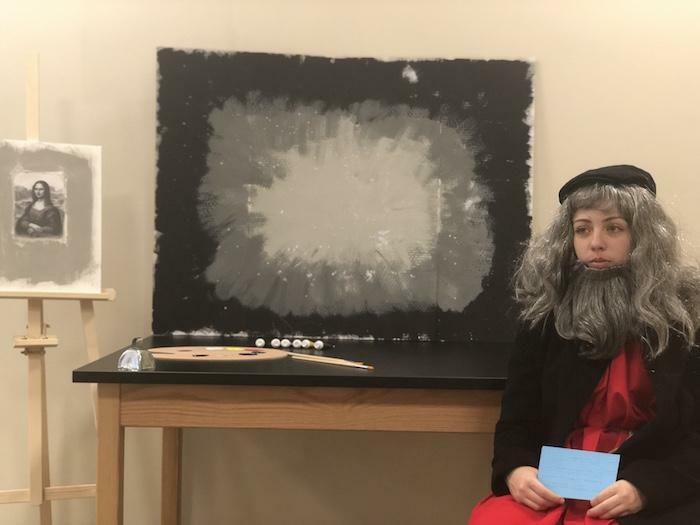 Just as adolescents are asking “Who am I?” and “What is my role in society?” they also investigate how their own culture and society fit into the human experience. 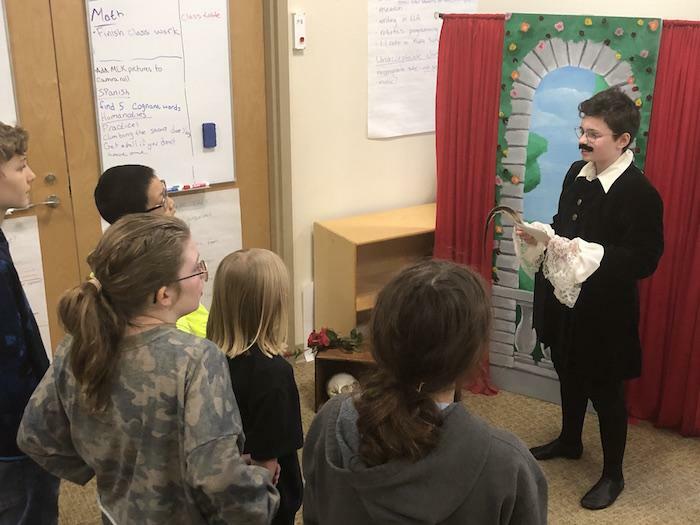 For the last three weeks, students have been immersed in the Renaissance and have explored Renaissance art, science, and history. 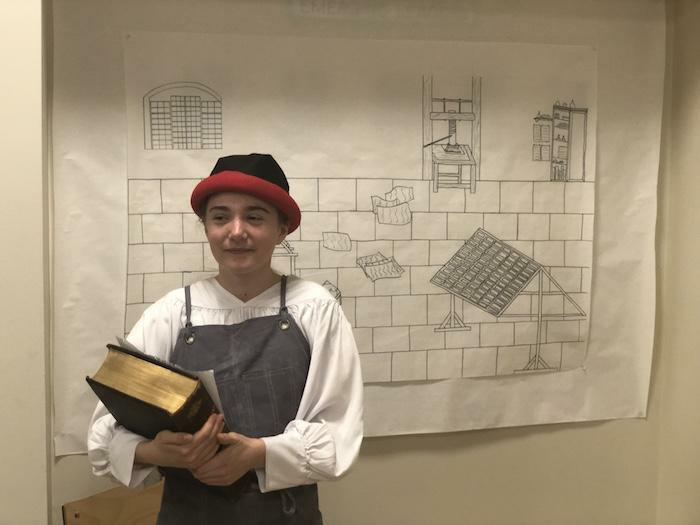 They connected previous studies of ancient Greece and Rome to the ideas of humanism, reason, and science that developed in the Renaissance. 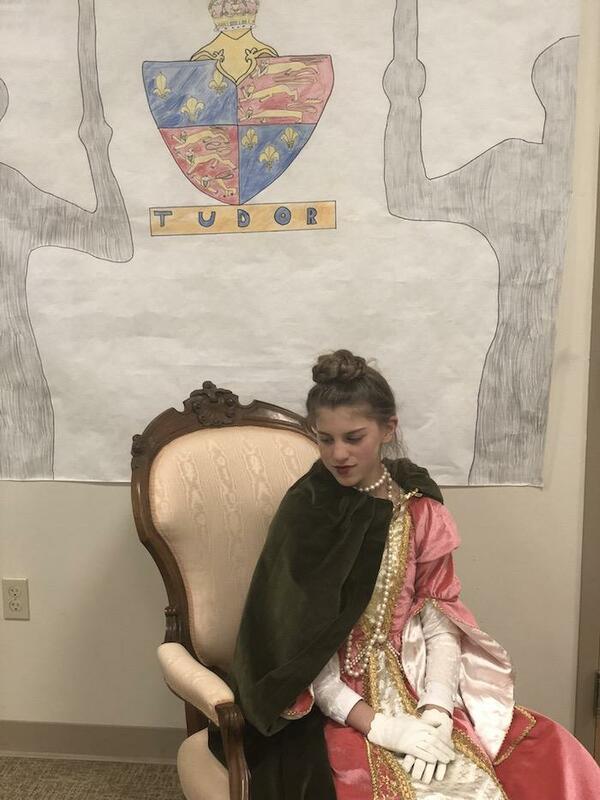 After surveying some of the highlights of the time, students chose one Renaissance figure to research and write about. 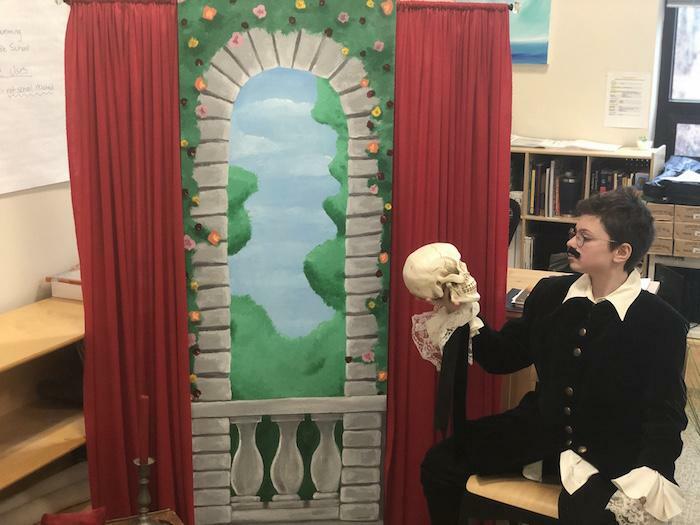 The study culminated with the “Renaissance Wax Museum,” for which students prepared a speech, costume, props, and backdrop. 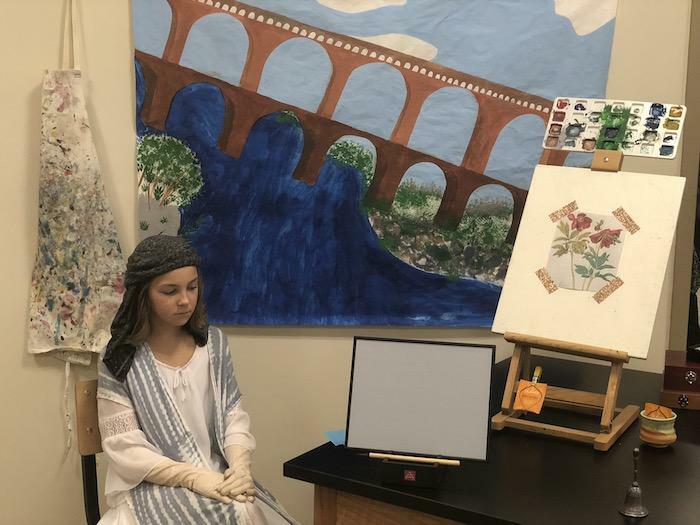 On museum day, students from Upper Elementary and parents visited the museum as the figures came to life to describe their background, accomplishments, and significance. 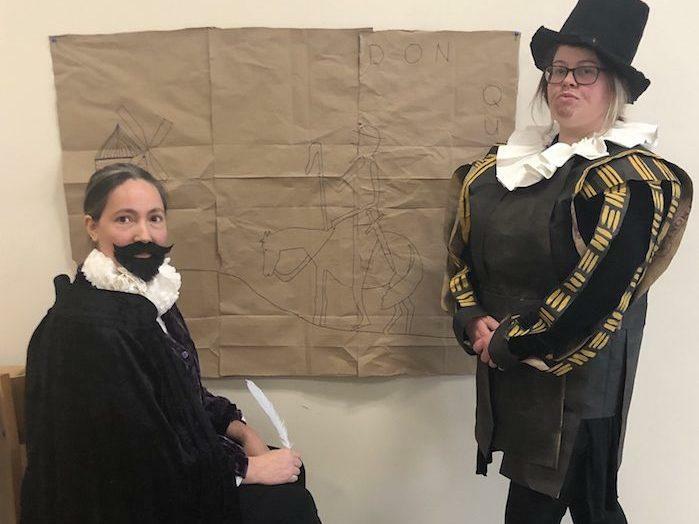 Teachers as Wax Museum figures Miguel dey Cervantes and Sir Francis Bacon. 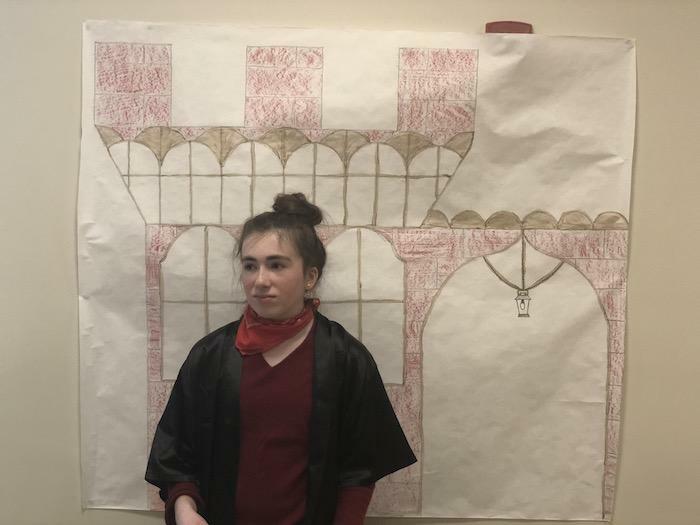 While researching their Renaissance figures, the middle school students drew on strategies gleaned from previous years. 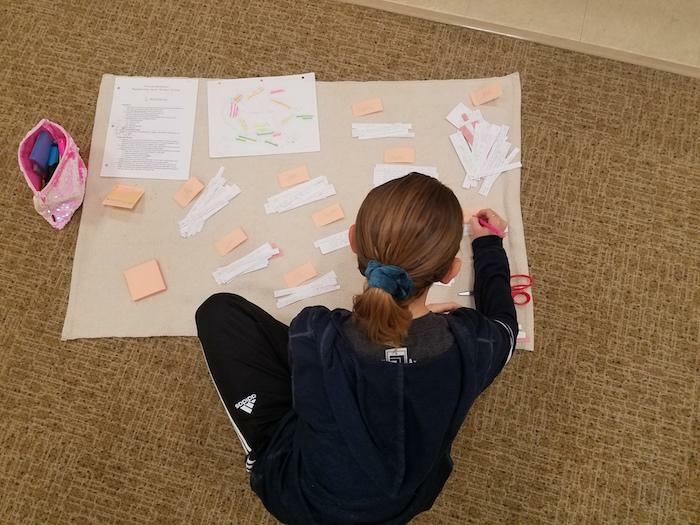 For example, many chose to cut up their notecards and rearrange them as the information would appear in their essays.  This made it simple to experiment with different ways of organizing and presenting information. 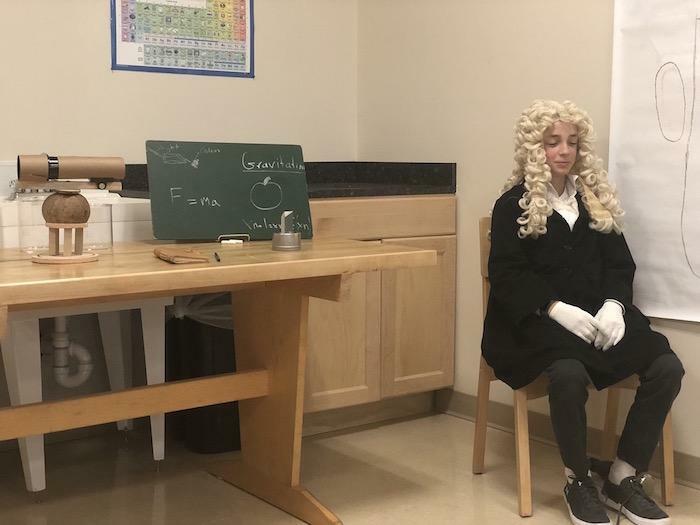 At the conclusion of the unit, students reflected on the Wax Museum with enthusiasm for the opportunity to bring the character to life. 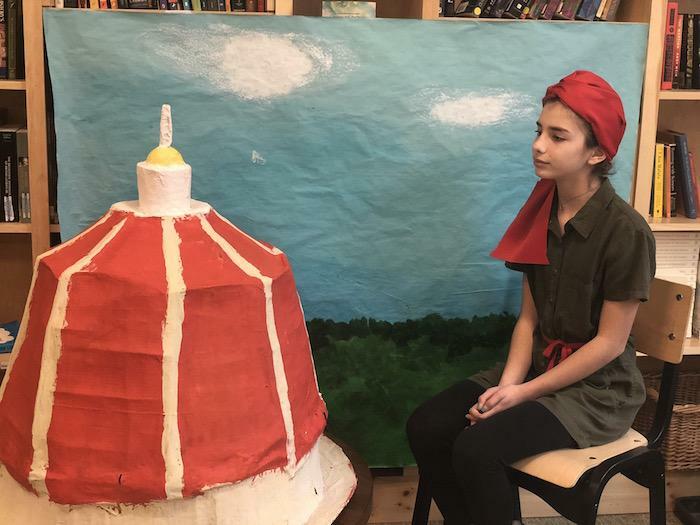 While the abstract ideas explored in their research and essays were impressive, the concrete nature of the wax museum project worked to enrich their learning.